Many of these resources have been aggregated into "Collections". 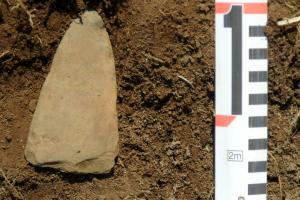 The collections are a chance to find all types of resources that all pertain to a specific discipline or location. Please email info [at] polartrec.com if you have any questions, suggestions, comments, or issues with the resources. Teachers and Researchers learning on the Inpuiat Learning Framework, for incorporation in to science resources, by Jana Harcharek, Director of Inupiaq Education, NSBSD. Introducing the Arctic Ocean Ecosystem Collection, a body of educational resources focused on understanding the Arctic Ocean ecosystem. The Collection was developed during a five-day workshop in Barrow, Alaska. The workshop brought together teachers who had traveled to the Arctic Ocean during teacher researcher experience programs; Arctic Ocean community members and teachers from the North Slope (Alaska); as well as project scientists interested in gaining expertise in broader impacts activities. The Collection is centered around educational resources related to current marine and climate change research. The Collection includes individual activities, lesson plans, videos, and presentations all that will educate the next generation about this complex ecosystem. 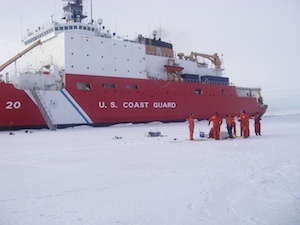 The Arctic Ocean Professional Development Workshop, which led to creation of the collection, was funded and supported by the Arctic Research Consortium of the United States, the Center for Ocean Science Education Excellence Alaska, Alaska Ocean Observing System, the North Pacific Research Board, and the North Slope Borough School District. Scientists working together to set up the station that would measure the oxygen at increasing depths. Out on the sea ice of the Bering Sea. Introducing the Bering Sea Collection, a body of educational resources focused on understanding the impacts of climate change and dynamic sea ice cover on the eastern Bering Sea ecosystem. The Collection was developed during a four day workshop that brought together teachers who had traveled to the Bering Sea during teacher researcher experience programs; Bering Sea community teachers from St. Paul, Emmonak, and Nome; as well as project scientists interested in gaining expertise in broader impacts activities. The Bering Sea Collection uses BEST-BSIERP hypotheses and focal areas as a guide. 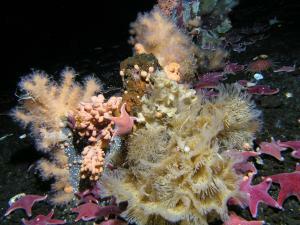 Both the Bering Ecosystem Study (BEST) and the Bering Sea Integrated Ecosystem Research Program (BSIERP), programs seek to support meritorious scientific research that will improve understanding of how the highly productive marine ecosystem of the Bering Sea may respond to climate change, particularly as mediated through changes in sea ice cover. The Collection includes individual activities, lesson plans, videos, and presentations all that will educate the next generation about this complex ecosystem study. Bering Sea Ecosystem Collection Partners The Bering Sea Collection and the Bering Sea Ecosystem Professional Development Workshop, which led to creation of the collection, were funded by Arctic Research Consortium of the United States, National Science Foundation Office of Polar Programs, North Pacific Research Board, COSEE Alaska, Monteray Bay Aquarium Research Institute, and NOAA Teachers at Sea Program. Climate Change: Seeing, Understanding, Teaching is a four-day immersive teacher professional development course held in Denali National Park. Developed through three partner organizations, the course aims to develop teachers’ skills for integrating climate change content into their classrooms. The development and management of the course is provided by the Arctic Research Consortium of the United States (ARCUS). The other partners are the National Park Service and Alaska Geographic. For over five years, this program has built successful connections between teachers, researchers, science and classrooms through the inclusion of teacher leaders in workshop leadership; dedicated program staff; and a workshop community culture. During the course, the teachers and the researchers travel to 'hotspots' in the park that stir conversation about the dynamics and causes of change in the subarctic. A goal of the course is to weave climate education into existing curriculum. Throughout the course, participants gain skills in communicating science to their students, increase their climate literacy, and learn how to facilitate classroom discussions that move us all towards making a positive impact on the future of climate change. To learn more about the program, check out Alaska Geographic Field Courses. This collection focuses on all the Learning Resources that are related to the course, including capstone lessons created by the course participants. Discover the diversity in the Earth Science Collection. Welcome to the Earth Science Collection, a library of resources for educators and the public interested in learning more about the diverse science disciplines that help us understand the earth's unique polar regions. The field of earth science has overlap into many disciplines and can include geology, oceanography, glaciology, and meteorology. The Collection includes individual activities, lesson plans, journal entries, videos, and presentations that will educate the next generation about this complex field of study. All materials are created and compiled by world-class educators participating in authentic scientific research in the polar regions through PolarTREC expeditions. 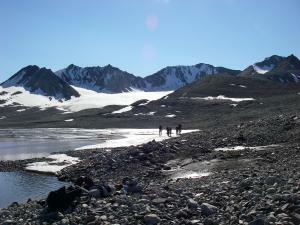 The Earth Science Collection is utilized as class material in the Cyber-based Interdisciplinary Science Education Professional Development Courses offered through the University of Alaska- Fairbanks in conjunction with PolarTREC. The collection is funded by the Arctic Research Consortium of the United States and the National Science Foundation Office of Polar Programs. Illustration of the Equinoxes. Introducing the International Polar Week Collection a collection of resources that celebrate the Equinoxes. Starting in 2012, International Polar Week is celebrated twice a year, in March and in September. 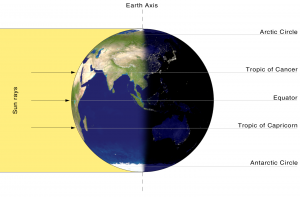 The Equinoxes are the only time when everywhere on earth the day length is 12 hours, a perfect opportunity to celebrate the poles on a global scale! In celebration, several organizations have partnered together to host a variety of activities to connect and educate people about the polar regions. Learn more about the Polar Regions through this special collection of materials gathered to help celebrate this global event. These resources are FREE and will always be available, allowing you to access them at any time. In addition, every event will have a global activity, something that anyone and everyone can do! For more information on Polar Week, you can check out the APECS Polar Week page for all the events. Sun Shadows Project - Italy, Belgium, Global! Where in the World is King George Island? How is Glacier Goo Similar to a Real Glacier? The International Polar Week Collection was created with the help from researchers and educators that work in the polar regions and supported by Association of Polar Early Career Scientists,Arctic Research Consortium of the U.S., and Polar Educators International (polareducators [at] gmail.com). Dive in and learn more about life sciences at the polar regions. Welcome to the Life Science Collection, a library of resources for educators and the public interested in learning more about organisms in the Arctic and Antarctic regions. The field of life science includes but is not limited to understanding organisms, their organization, life processes, and relationships to each other and their environment. The Life Science Collection is utilized as class material in the Cyber-based Interdisciplinary Science Education Professional Development Courses offered through the University of Alaska- Fairbanks in conjunction with PolarTREC. The collection is funded by the Arctic Research Consortium of the United States and the National Science Foundation Office of Polar Programs. 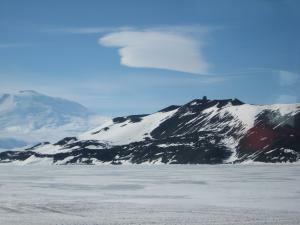 Explore physical science in the polar regions. Welcome to the Physical Science Collection, a library of resources for educators and the public interested in learning more about the non-living systems in the Arctic and Antarctic regions. The field of physical science includes but is not limited to physics, chemistry, astronomy, geology, and other sciences that analyze the nature and properties of energy and nonliving matter. The Physical Science Collection is utilized as class material in the Cyber-based Interdisciplinary Science Education Professional Development Courses offered through the University of Alaska- Fairbanks in conjunction with PolarTREC. The collection is funded by the Arctic Research Consortium of the United States and the National Science Foundation Office of Polar Programs. Welcome to the Social Science Collection, a library of resources for educators and the public interested in emphasizing the use of the scientific method in the study of humanity, including quantitative and qualitative methods. The field of social science includes but is not limited to the study all aspects of society including human behavior, relationships among different groups of people, past events, anthropology, linguistics, education, and geography. The Social Science Collection is utilized as class material in the Cyber-based Interdisciplinary Science Education Professional Development Courses offered through the University of Alaska- Fairbanks in conjunction with PolarTREC. The collection is funded by the Arctic Research Consortium of the United States and the National Science Foundation Office of Polar Programs.